Philip Wilson Steer, the youngest of three children (one brother, Henry, one sister, Catherine) of Philip Steer (1810–1871) and his wife, Emma Harrison (1816–1898), was born in Birkenhead on 28th December, 1860. His father was an artist who painted landscapes and portraits in the style of Joshua Reynolds. Steer was educated Hereford Cathedral School. In 1878 he enrolled at Gloucester School of Art in 1881 and the following year was spent at the drawing schools of the Department of Science and Art in South Kensington. In 1882 Steer then spent time at the Académie Julian, where he got to know Frederick Brown. According to his biographer, Ysanne Holt: "In Paris he remained securely within a circle of English and American students and was largely unaware of more recent developments in French art. Following the introduction of a French language examination at the école he returned to England the next summer." Steer acquired a studio in Manresa Road, Chelsea, and spent his summers at Walberswick in Suffolk. Steer was one of the founders of the New English Art Club in 1886, a group of British artists who felt their work was neglected by the Royal Academy. His friend, Frederick Brown, drew up the constitution, sat on all the committees and juries, and encouraged his Slade students to exhibit there. Around 50s took part in the inaugural exhibition held at the Marlborough Gallery in April, 1886. Early exhibitors included George Clausen, John Singer Sargent, Colin Gill, Walter Sickert and James Whistler. 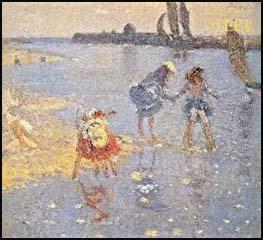 Steer exhibited Girls Running, Walberswick (1886) A Summer's Evening (1887) and Knucklebones (1889). 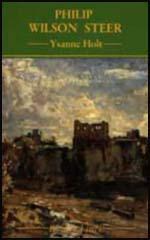 In 1892 Frederick Brown succeeded Alphonse Legros as professor of fine art Slade Art School. According to Anne Pimlott Baker: "Continuing the teaching and liberal outlook of Poynter and Legros, he (Brown) built up the school of drawing, and tried to develop the individuality of his pupils, while encouraging them to study form by means of an analytical rather than an imitative approach to draughtsmanship, returning to the methods of masters such as Ingres. He attracted a strong teaching staff, establishing the principle that all teachers should be practising artists." Brown recruited Steer to the staff. Students who studied under Brown include Augustus John, Gwen John, William Orpen, Paul Nash, Wyndham Lewis, Dora Carrington, Edith Craig, Dorothy Brett, Mark Gertler, Christopher Nevinson, Stanley Spencer, John S. Currie, Maxwell Gordon Lightfoot, Edward Wadsworth, Adrian Allinson, Rudolph Ihlee, Spencer Gore, Jacob Epstein, David Bomberg, Michel Salaman, Edna Waugh, Herbert Barnard Everett, Albert Rothenstein, Ambrose McEvoy, Ursula Tyrwhitt, Ida Nettleship and Gwen Salmond. Drawing of Philip Wilson Steer by William Rothenstein. During the First World War the government established the War Propaganda Bureau. Early in 1918 the government decided that a senior government figure should take over responsibility for propaganda. On 4th March Lord Beaverbrook, the owner of the Daily Express, was made Minister of Information. Under him was Charles Masterman (Director of Publications) and John Buchan (Director of Intelligence). Lord Northcliffe, the owner of both The Times and the Daily Mail, was put in charge of all propaganda directed at enemy countries. Robert Donald, editor of the Daily Chronicle, was appointed director of propaganda in neutral countries. On the announcement in February 1918, David Lloyd George was accused in the House of Commons of using this new system of getting control over all the leading figures in Fleet Street. Beaverbrook decided to rapidly expand the number of artists in France. 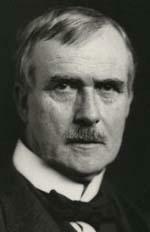 He established with Arnold Bennett a British War Memorial Committee (BWMC). The artist chosen for this programme were given different instructions to those sent previously. Beaverbrook told them that pictures were "no longer considered primarily as a contribution to propaganda, they were now to be thought of chiefly as a record." Artists sent abroad under the BWMC programme included Steer, John Singer Sargent, Augustus John, John Nash, Henry Lamb, Henry Tonks, Austin Osman Spare, Eric Kennington, William Orpen, Paul Nash, C. R. W. Nevinson, Colin Gill, William Roberts, Wyndham Lewis, Stanley Spencer, Philip Wilson Steer, George Clausen, Bernard Meninsky, Charles Pears, Sydney Carline, David Bomberg, Gilbert Ledward and Charles Jagger. 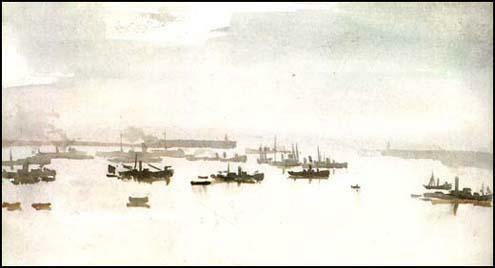 His most popular painting for the BWMC was Mine-Sweepers at Dover (1918). Steer's biographer, Ysanne Holt, has pointed out: "Throughout the 1920s Steer increasingly experimented with watercolour, a technique which provided him with a route out of the heavy impasto characteristic of his oils. These watercolours, impressionist in the strictest sense of the term, partly reflect the later works of Turner, but also signal a return to Monet and to a Whistlerian approach - the handling is slight, shapes and objects are suggested, and all unnecessary detail eliminated. For the painter himself the processes of watercolour were a fascination and the best examples he regarded merely as flukes, which either did or did not come off". In 1930 Steer and his great friend, Henry Tonks, both retired from the Slade Art School. He continued painting landscapes and waterscapes until 1938 when his eyesight became too bad to go on. He commented that he "had painted enough and many people painted far too many pictures". Philip Wilson Steer died at his home of bronchitis on 21st March 1942.